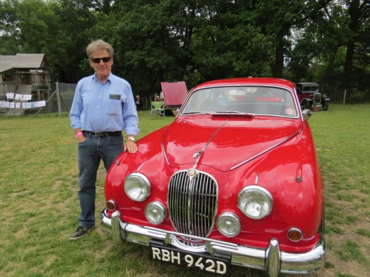 The fourth Hurst Classic Car and Bike Show, part of Hurst Show and Country Fayre, plans to be even bigger and better than last year. Owners are invited to take their pride and joy along to either or both of the show days, June 23rd and 24th. To enter your vehicle please contact us. Last year there were over 30 vehicles each day ranging from the 1930s to the 2000s. Models included a Jenson Interceptor, a Jaguar XK120, a Ford Mustang and Capri, a Triumph TR6 and Spitfire, MG C, Morris 1100 and Land Rover. All classic vehicle entrants get two free passes to the show. 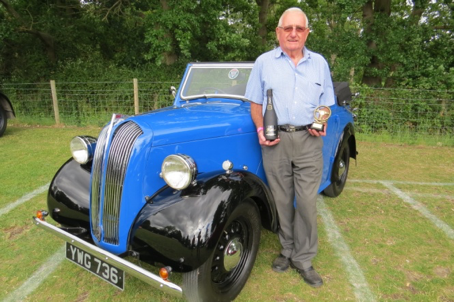 The owner of the most popular vehicle on each day will receive a small trophy and a bottle of bubbly. 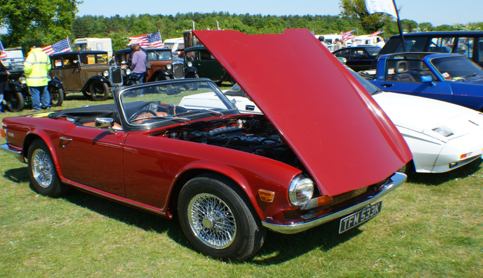 The classic cars and bikes are part of a great weekend of fun for all including arena events, stalls, a fun dog show and an art show, beer and BBQ tents and, on the Sunday, an antiques valuation show. The show is in School Road, Hurst RG10 0DR 10am to 5pm each day.